As I make progress on the NK, I'd like to see if anyone has a Neue Klasse parts car or parts stash. There are some odd parts I'd like to source and also everything for a manual swap. I'd like to try to find these stateside. First thing I'd like to find is the panel under the steering column, for a late NK, 1969 2000. It's number 1 in the diagram. Try Connor at Vintage Autobahn... he may have what you need? 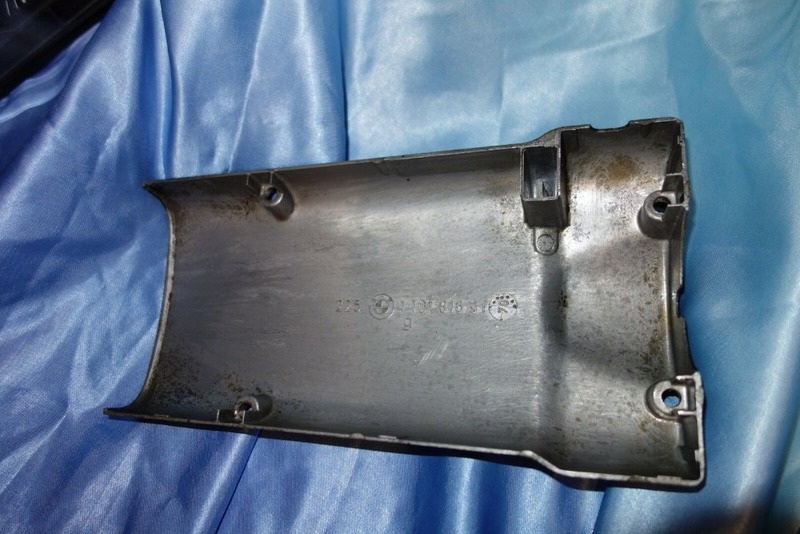 How about this part also, high beam switch, part number 61311351020 for 1969 NK sedan? No luck yet on the lower panel of the steering wheel column, I've attached another picture as an example. Also starting search for the first and probably hardest part to find for my manual swap, the pedal assembly. Also, anyone have a direct email for Connor at Vintage Autobahn? I've attempted to use their sales email but no response yet. Hi. I have a complete pedal assembly from a 67 2000 cs. I think they are the same but not sure. I also may have the interior door handles if they are the same.